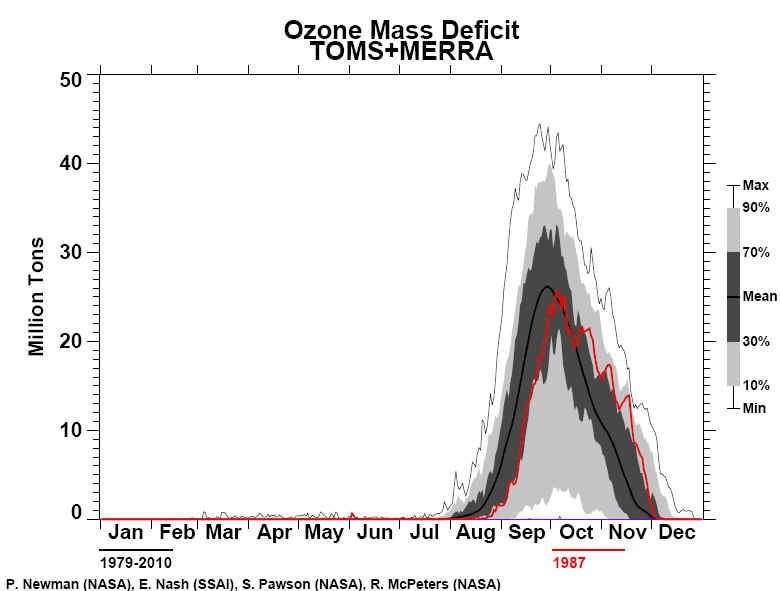 In 1987 the Antarctic springtime total ozone as measured by TOMS was substantially lower than in any previous year. 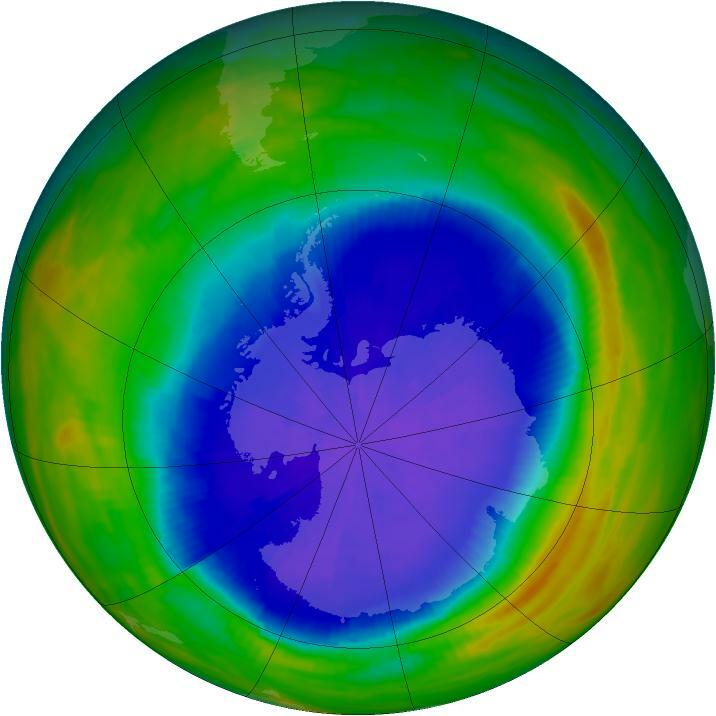 Polar ozone levels began decreasing significantly after a mesoscale transient minimum developed over the Weddell Sea on September 5–7. 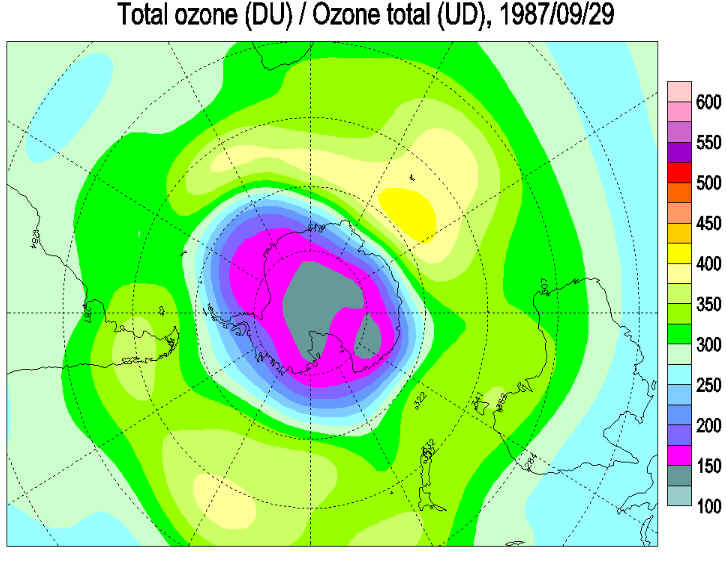 The total ozone over most of the Antarctic continent decreased to less than 200 DU on September 19, and a region where total ozone was less than 125 DU developed on September 30. 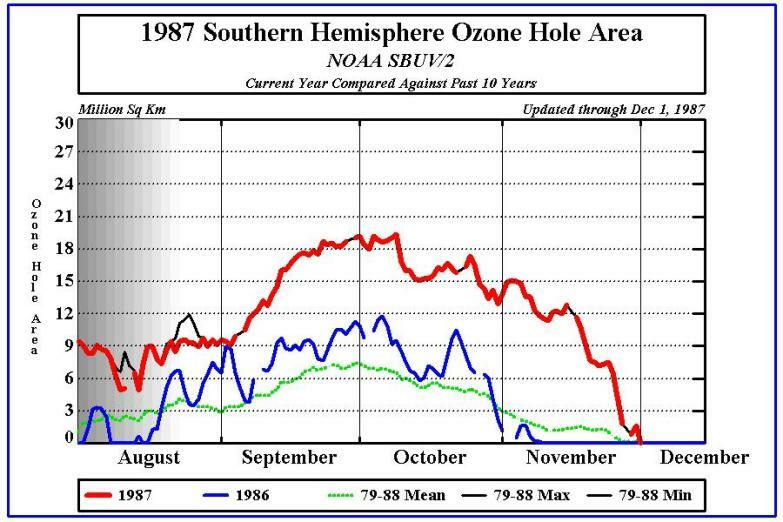 The lowest level observed was 109 DU on October 5 near the South Pole, a value 29 DU less than the 1985 previous record low. 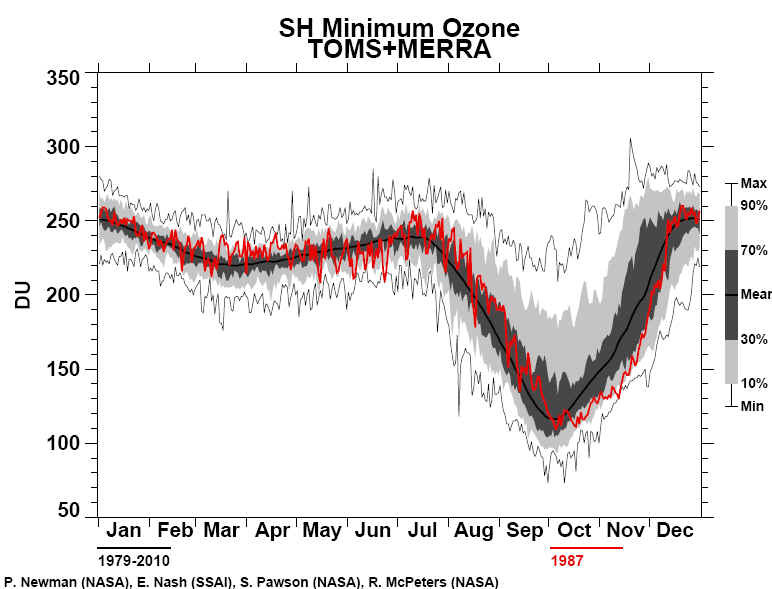 Compared with previous years the 1987 October zonal mean total ozone is substantially lower poleward of 60°S. 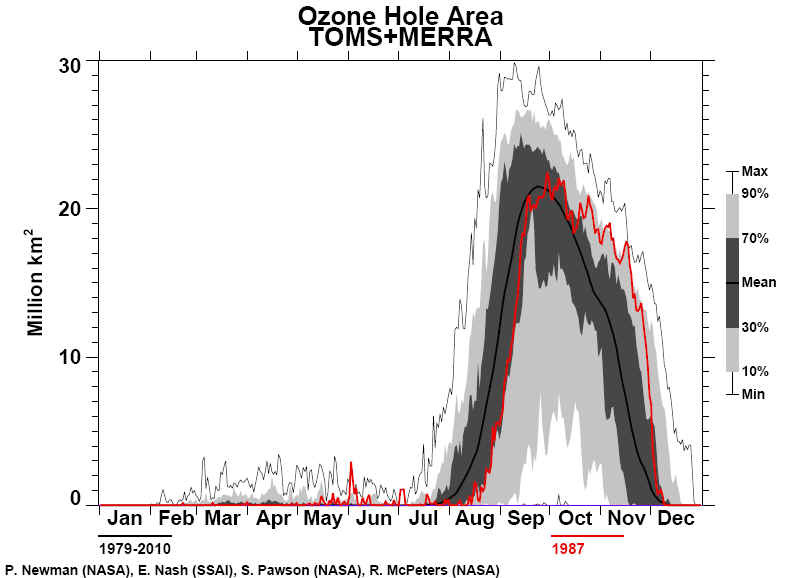 Antarctic total ozone in 1987 also showed the greatest rate of ozone decrease as well as the longest persistence of the ozone hole.